Lenovo, Fujitsu, and the Development Bank of Japan (DBJ) on Thursday announced plans to form a PC joint venture. Lenovo will own a 51% stake in the new venture – giving them the controlling stake of what is becoming of Fujitsu's PC business – while Fujitsu and DBJ will smaller stakes. The joint venture will develop, produce and sell computers under the Fujitsu brand to consumers, but Fujitsu will continue to serve its corporate customers through its channel partner network. Fujitsu and Lenovo have been negotiating the deal for well over a year, so nothing comes as a surprise. 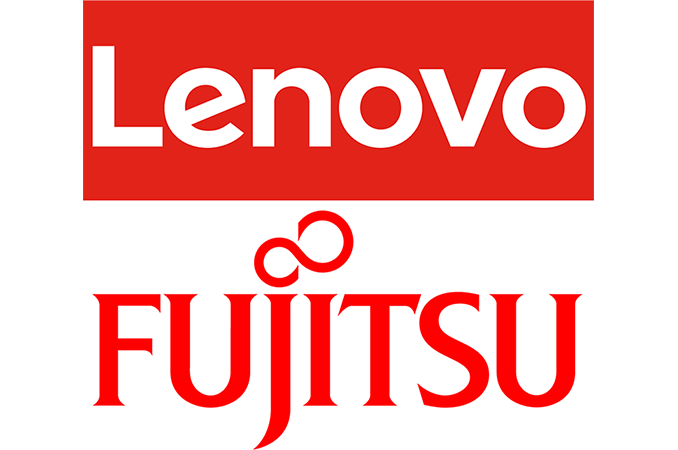 Under the terms of the agreement, Fujitsu will sell a 51% stake in its wholly owned subsidiary Fujitsu Client Computing Limited (FCCL) to Lenovo and a 5% stake to DBJ. The former will pay up to ¥25.5 billion ($223.4 million), whereas the latter will pay up to ¥2.5 billion ($21.9 million) based on performance of FCCL to 2020. Initially, Lenovo will pay Fujitsu ¥17.85 billion ($156.42 million). Lenovo is not new to joint ventures, particularly in Japan. Back in 2011, the company formed a joint PC business with NEC, where it owned a 51% stake. After five years, Lenovo acquired the remaining 49% stake from NEC to become the owner of the company, which controls about a quarter of the Japanese PC market. The takeover of the Fujitsu PC business was expected to increase Lenovo’s PC maker share in Japan to over 40%, but the actual share is unclear because Fujitsu will formally retain its corporate PC business. After the transaction closes in Q1 FY2018 (Q2 calendar 2018), FCCL will handle R&D, manufacturing, sales, and support of Fujitsu-branded PCs to consumers. 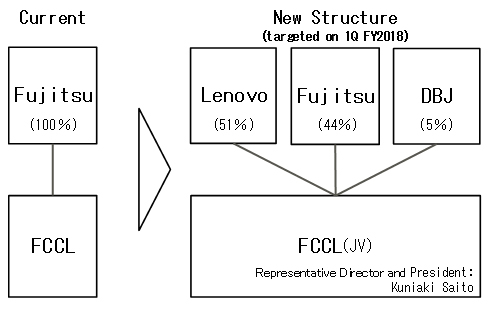 The fact that FCCL will retain its “highly-automated and efficient manufacturing” means that Lenovo does not plan to move manufacturing of Fujitsu-branded devices to China, but will localize it in Japan, just like it did with NEC years ago. Obviously, Lenovo will procure parts required by FCCL and will therefore use its economies of scale to cut-down some of the manufacturing costs. Meanwhile, Fujitsu will get the products from FCCL and will continue to serve as well as support its corporate customers either directly or indirectly worldwide. It is noteworthy that the statements from Fujitsu and Lenovo indicate that FCCL will only serve consumers in Japan and never mention Fujitsu’s PC business in Europe and North America. Fujitsu’s computers hardly command a tangible share of the market in either regions, but given the fact that Lenovo sells its computers under its own and local trademarks in Europe and the U.S., the future of Fujitsu-branded systems outside of Japan remains to be seen. In the meantime, PC giant will keep developing and selling separate PC lineups under Fujitsu, NEC, and Lenovo names in Japan. Looking at the deal in general, it is noteworthy that in the recent quarters Lenovo lost its No. 1 position on the PC market to HP (1, 2, 3). IDC explains that Lenovo’s business was affected by weak sales in the U.S., so the acquisition may not necessarily help the Chinese PC company to regain its top spot. 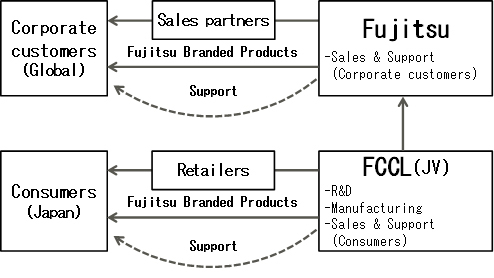 In the meantime, FCCL noted at the press conference in Tokyo that the Fujitsu brand is popular outside of the country of the rising sun (particularly in Europe), so keeping it on various markets might be a good idea in general. Fujitsu PC's do command a market in Europe thanks to it's roots in Siemens PC-business, but I would say it's almost entirely in the enterprise space nowadays. Fujitsu Siemens had manufacturing in Germany and made some of their own notebooks (was responsible for designing some of Fujitsu's model-series) rather than just selling whatever Fujitsu came up with in Japan but I wouldn't count on them making a return in the retail/consumer space but rather continue to focus on businesses and public contracts here. Though stuff like their Lifebook-series (the one's with a docking-port at least) do compete against Lenovo's ThinkPads so I don't really know what the benefit would be for Lenovo to own and control the venture.